Barton Christmas is a Vanderbilt undergraduate sophomore from Paducah, Kentucky. He studies History and Secondary Education, paired with campus involvements ranging from VUcept to Vanderbilt University Theatre. Barton’s choice to attend Vanderbilt came following his receipt of the Curb Scholarship in Creative Enterprise and Public Leadership. 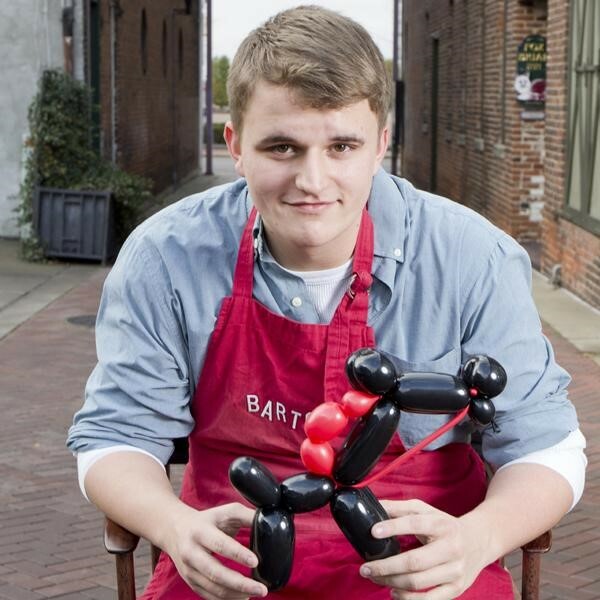 Regarding his enterprise, Barton has owned and operated a balloon art business, Barton’s Balloons, since the age of 11. He is eager to share the exploits of such a background with the TED Community. Following his matriculation from Vanderbilt, Barton hopes to seek a career in comedy, education, and politics. When a person adds the identity of “parent” into their life, it seems one of the biggest questions they face is “Who is this child going to be?” Turning from the genetic underpinnings of this question, this talk instead explores the portion of a child’s identity that is rooted in their name, as well as the portion rooted in their hobbies. Why should parents consider veering off the beaten path in naming their child? How can a circus function as a career fair? Perhaps a unique name and an odd avocation are more compelling assets to a child’s development and trajectory than most parents realize.